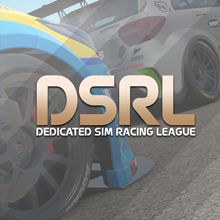 The first DSRL Rally event is now live until this Sunday night at 23:45 UK time! 6 stages around Wales in 2000s cars. You will need to own the vehicle. Checkpoints at the end of each stage with service area and tuning at the end of stage 2 and 4. So if you have DiRT Rally and want to join in go onto www.dirtgame.com and search for The DSRL Rally. You will need to request to join the league so send me a message and I will get you as soon as possible. Re: Event 1 is live! Nice. Now time to earn some money for this car! I need to finish laying down some more times. Think I'm halfway through. Not too bad so far but I did end upsetting the car beached in the first stage which probably cost me 20 seconds.